This relationship seems one sided so far. Relationship goals, for real. 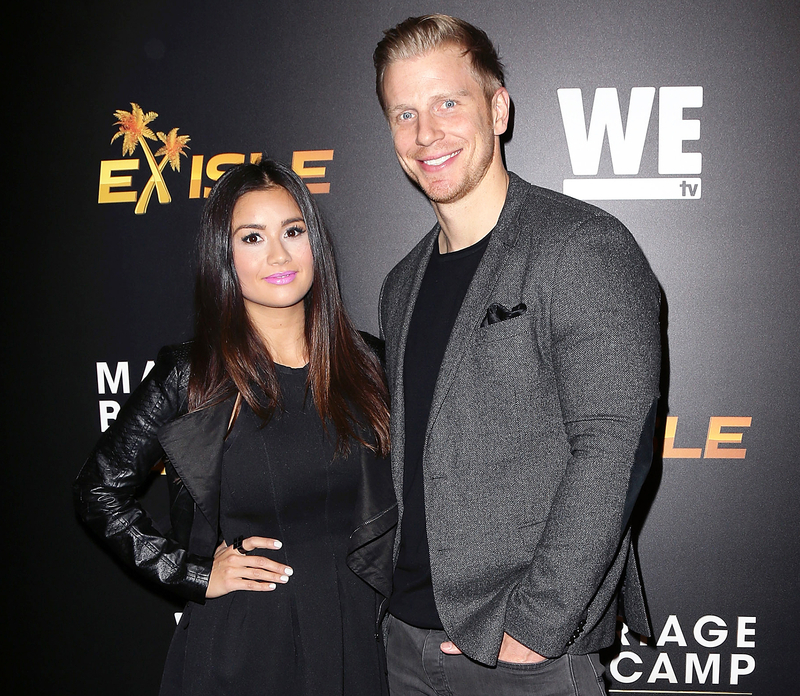 Former Bachelor Sean Lowe shared a photo of himself kissing pregnant wife Catherine Giudici&apos;s baby bump on Monday, March 7, and detailed his journey from The Bachelor to becoming a successful entrepreneur. Lowe, 32, posted a funny Instagram pic of himself and Giudici lounging on their couch at home, and in it, the season 17 Bachelor closes his eyes and kisses his wife&apos;s growing tummy. Meanwhile, Giudici, 29, pays him no mind and scrolls through her phone. "This relationship seems one sided so far," Lowe jokingly captioned the photo. PHOTOS: Meet Sean Lowe's Bachelor Women! The happy couple, who tied the knot in January 2014, has been vocal about the struggles of building their relationship after their fantasy (and fantastic) season of The Bachelor ended in 2013. Part of the equation for Lowe was working out finances and building a future for himself and his family. On Tuesday, Fortune published an in-depth piece by the season 17 lead that revealed what he did with the money from his reality TV days. "As soon as the first episode aired, I was thrust into fame. Each week, millions of people tuned in to see if I’d find the love of my life. I did in fact find love with a beautiful girl named Catherine. We’ve been married two years now and are expecting our first child this summer," Lowe wrote. "When the show ended, I realized the financial potential of that whole wacky experience … Fame pays, but, I knew it’d be short-lived. If I could save every penny, I could parlay it into long-lasting success back home in Dallas." PHOTOS: Sean Lowe and Catherine Giudice's Exclusive Honeymoon Photos! In order to achieve his dream, Lowe used the money from The Bachelor and his subsequent DWTS stint to build a foundation. "Fast-forward to the present, and that money I saved is being spent developing real estate projects in Dallas with my good friend and realtor, Rogers Healy," Lowe shared. "Together, we’ve developed close to $10 million worth of residential and multifamily real estate. We’ve built and sold speculative projects so far, but we anticipate building multifamily rentals and mixed-use commercial buildings in the near future that will hopefully generate residual income and safeguard us from a downturn in the housing market." Lowe concluded his piece by giving a nod to the reality series that catapulted him to success. "I guess I owe most of my entrepreneurial success to The Bachelor," he concluded. "I never imagined signing up for a reality show about love would have led me to the realization of my dreams (and my wife!)."